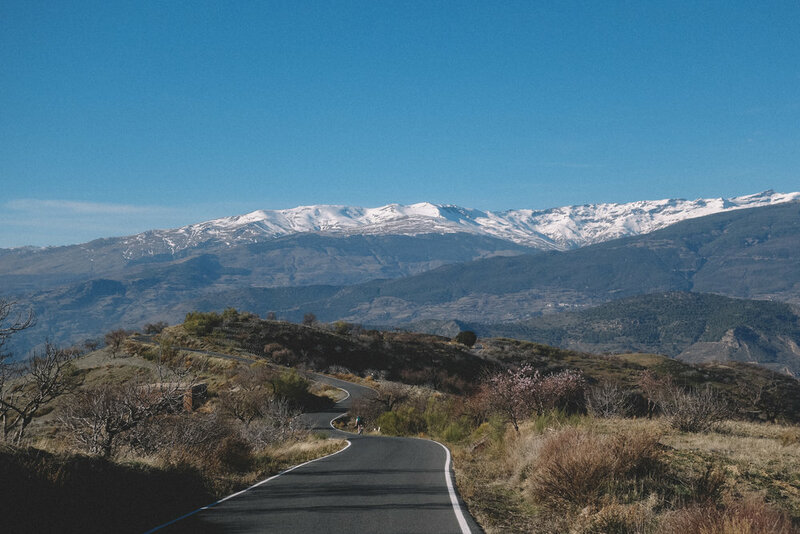 One of the closest climbs to our base here in Velez de Benaudalla, the Los Guájares climb is also one of the nicest around. This climb is reasonably relaxed, starting just after turning right, off the road from Velez. The first 6 km up to the lovely little village of Guájar are rolling, with an easy gradient up until the right turn in the village, where the gradient increases. If you want to stop for coffee on the way up, a cafe sits just on the right turn in Guájar. The road surface is fantastic the whole way up, and while grades of 10% are commonplace for the last 8km, the road certainly doesn't feel as steep as this. Starting just above Albuñuelas, this gravel climb is one of the nicest around. Albuñuelas has some nice panaderias, bars and cafes, should you want to relax in the sun before you make your way on to the Carretera de Itrabo. Albuñuelas has an interesting history, one notable point being; at Christmas in 1884, 500 homes were partially destroyed by an earthquake there. 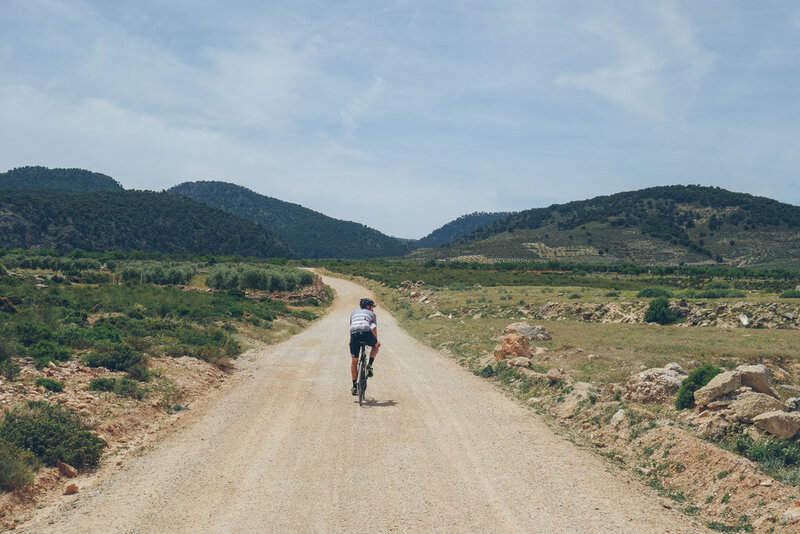 The 10 km section of gravel is a joy to ride, with a surface that is easily managed on a road bike, and views that make it worth the occasional skid on some of the steeper sections. The gradient averages 5% and the road itself is sprinkled with short sections of downhill which aid recovery. La Rábita provides you with the longest side to Haza del Lino, with a total of 1259m climbed in the space of 26.4 km. This is quite a steady climb, with a great surface and an average gradient of 5% keeping you company as you wind yourself up the mountain.